Fall is officially here. The cooler weather makes it easy to relax outside, and the falling leaves provide a beautiful backdrop to the season. But while it’s nice to relax in the fall, this is also an important time to focus on home maintenance. Add the following tasks to your fall maintenance to-do list, and get started today. 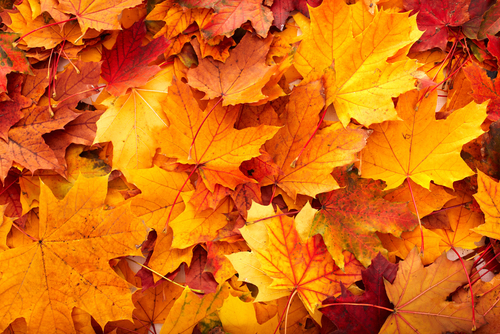 Fallen leaves can clog your gutters, causing water damage to your roofing and siding. Clean your gutters out once most leaves have fallen from the trees. Storm drains can also become clogged with leaves, leading to water buildup. Keep an eye on your drains, and push leaves aside as needed. If you have a fireplace, now is the time to make sure it is clean and safe. Have it inspected to make sure there is no dangerous creosote buildup in the chimney. Tidy the area around your fireplace to make sure nothing flammable is nearby. Unkempt firewood piles can attract rodents, insects, and other pests. Stack your firewood neatly on pallets, and make sure it’s at least a few feet from the side of your home. Arrange the wood so you can easily use the oldest wood first. Torn or loose weatherstripping can allow cold air to seep into your home, raising your winter heating bills. If you see any torn weatherstripping around your windows or doors, remove and replace it. If you leave water in the exterior faucets over winter, it may expand and crack the pipe. Once you’re done watering plants for the fall, turn off the water valve leading to the exterior faucet to prevent such damage. Drain any remaining water out of your garden hoses, and hang them up for the winter. You do not want anyone to step on a hose when it’s cold outside — they may crack the hose. Smoke detectors and carbon monoxide detectors are important year-round, but especially so in the fall when you turn on the furnace. Replace the batteries in these devices, and press the test buttons to make sure they’re working properly. Rake any leaves out of your garden beds, and apply a fresh layer of mulch to protect the plants’ delicate roots as the weather cools off. Pull any weeds so they don’t go to seed and cause more weeds to appear next year. As you can see, fall home maintenance can feel like a full-time job! If you’re a bit overwhelmed by all this maintenance, contact Hassle Free Home Services for an estimate. We’ll take over all these chores so you can focus on relaxing and enjoying the fall weather.